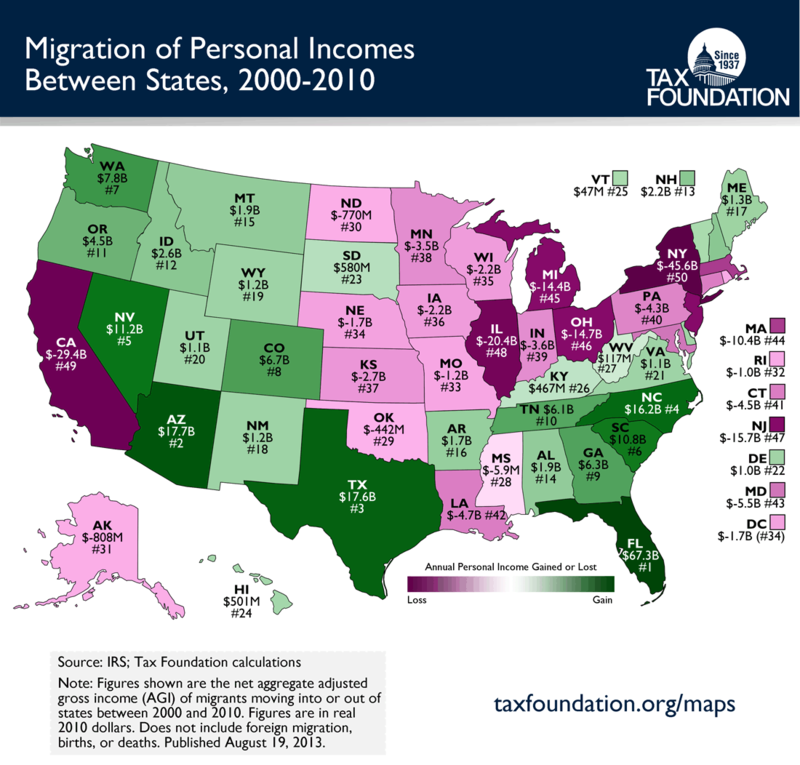 This week, our Monday Map draws data from our interactive State Migration Calculator, and illustrates the interstate movement of income over the past decade (from 2000 to 2010). When a person moves to a new state, their income is added to the total of all other incomes in that state. This positively affects the total taxable income in his or her new state, and negatively affects the income in the state he or she left. Click on the map to enlarge it. View previous maps here.